This is a subscription plan and you will be billed £9.99 each month until you cancel or move to a higher bracket. Your hands stay drier, longer. 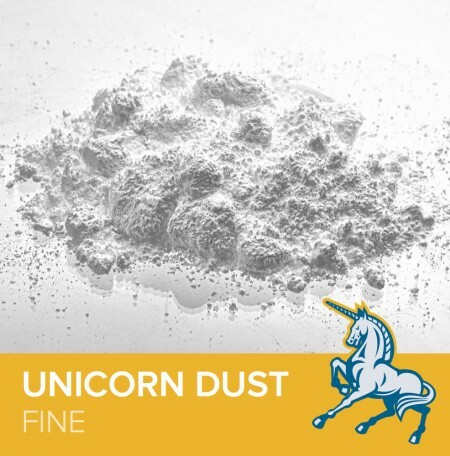 FrictionLabs chalk has no harmful drying agents or impurities. That means it’s way better for your lungs than other chalk. Keep your skin healthier and far more resistant to cracking. 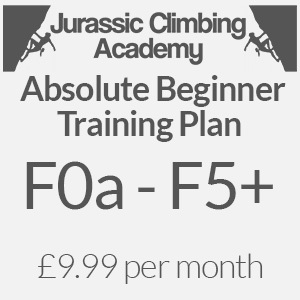 Our online training programme has been put together by the experts at Jurassic Climbing, to help you to focus your training and improve your climbing ability. Each part of the programme has been put together by our Director, and Team GB coach. This means that your plan gives you access to globally recognised and proven techniques. This is a subscription plan and you will be billed £14.99 each month until you cancel or move to a higher bracket. This is a subscription plan and you will be billed £19.99 each month until you cancel. This is a subscription plan and you will be billed £24.99 each month until you cancel. 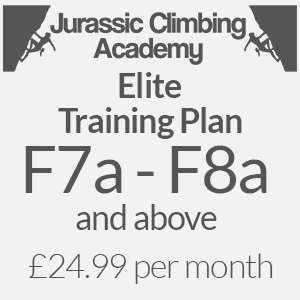 Our Remote Climber Training Plans are designed to help you to focus your training and improve your climbing ability at a place and at a time that suits you. This means that you are given anytime access to an app-based product of globally recognised and proven techniques written by top climber coaches. 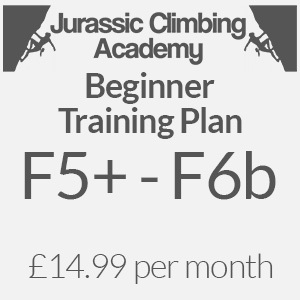 You will be billed £149.00 for a 4-week Remote Climber Training Plan and can renew by repurchase to continue your improvement. Our Remote Climber Training Plans + Nutrition are designed to help you to focus your training, improve your climbing ability, and control your nutrition at a place and at a time that suits you. 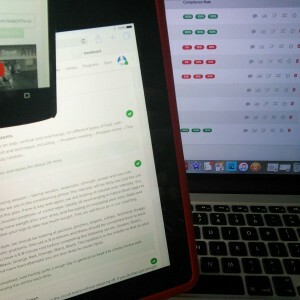 This means that you are given anytime access to an app-based product of globally recognised and proven techniques written by top climber coaches. 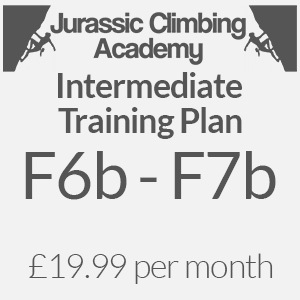 You will be billed £199.00 for a 4-week Remote Climber Training Plan + Nutrition and can renew by repurchase to continue your improvement. 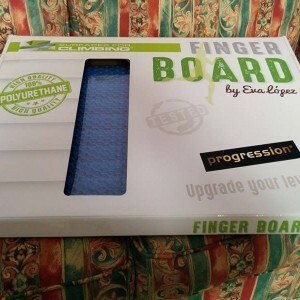 Progression, created in 2011 by climber and coach Eva López, is currently the only finger training board that features both a design and a set of training methods derived from a Doctoral Thesis (López-Rivera, 2014). – More than 16 year old (According to Morrison & Schöffl, 2007)*. – Lower level of finger strength (being able to hang for less than 10 seconds off a 10 mm edge). – More than two years of systematic and continuous practice of climbing. 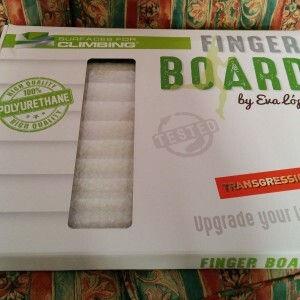 Transgression, created in 2011 by climber and coach Eva López, is currently the only finger training board that features both a design and a set of training methods derived from a Doctoral Thesis. – Familiar with specific finger training: unweighted dead hangs and moderate-intensity methods. – More than 18 year old (Morrison & Schöffl, 2007)*. – Medium/high level of finger strength (being able to hang for more than 15 seconds off a 10 mm edge). – More than 3-4 years of systematic and continuous practice of climbing.